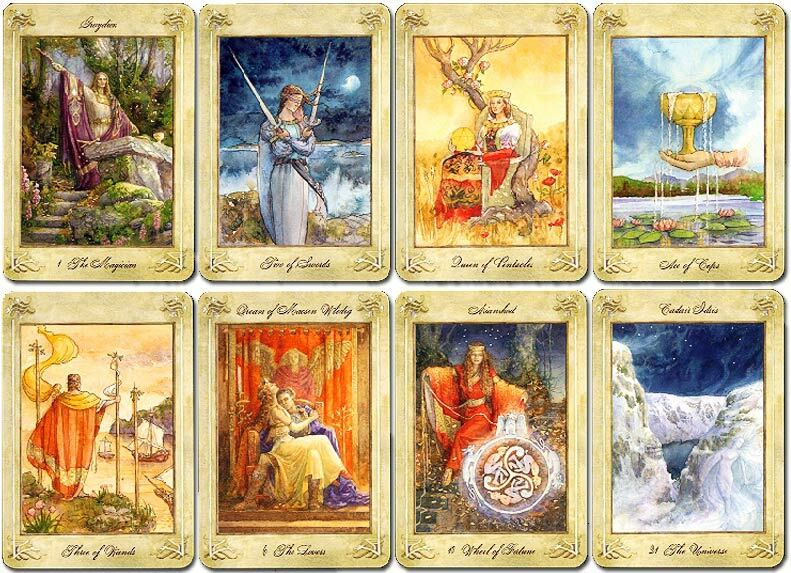 The Llewellyn Tarot is based on the legends and mythology of Wales. Created by Anna-Marie Ferguson, the watercolour paintings depict characters and myths of ancient Wales as described in the Mabinogion. 78 cards, published by Llewellyn, 2006.